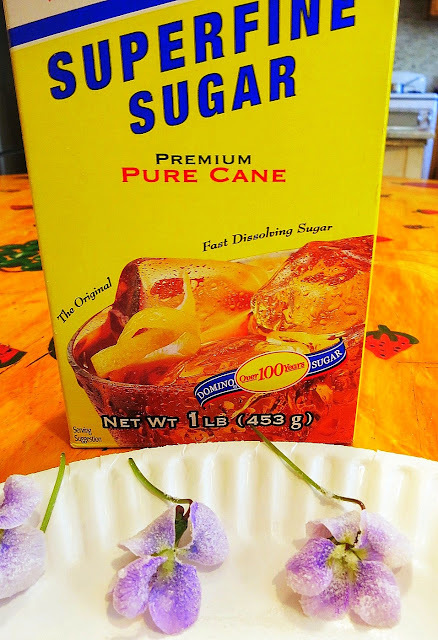 If you're like me and have a patch of violets growing wild in your backyard and are looking for a quick and creative Sunday morning project (or are otherwise looking for an excuse to avoid real work), then by all means do pick the blossoms and crystallize them for future use. 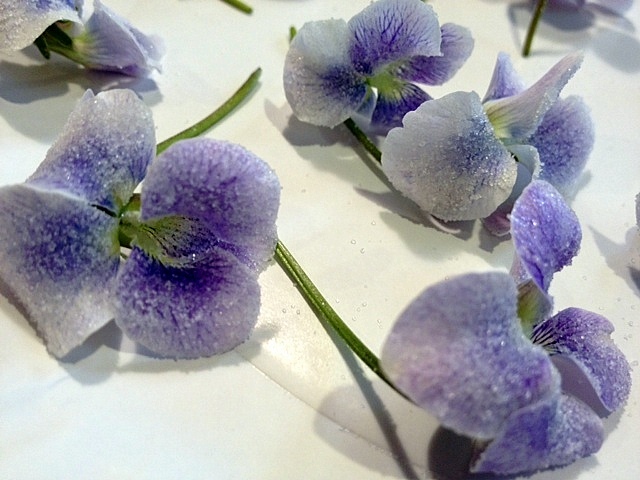 Placed atop a cake, pie or pudding, these beauties will add a touch of sophistication to your dessert. 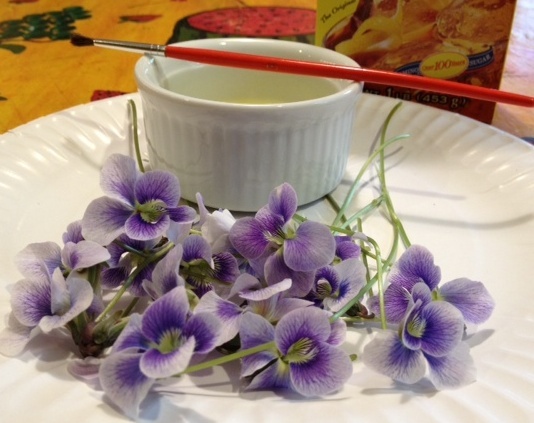 After you harvest the violets, "paint" each petal with the egg white and liberally sprinkle the sugar atop, making sure to cover all the petals. That's it! Leave them out to dry and store them in an airtight container until such time as you need to dress up a dessert. My violet patch is below. 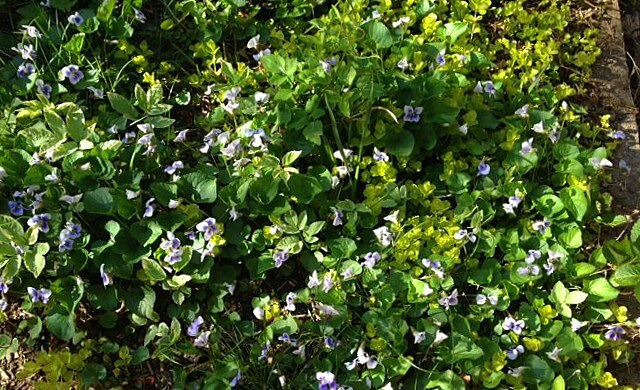 I'm told they're weeds, but you can't believe everything you hear. These last two photos are courtesy of the DH, taken with a real camera (as opposed to my phone). 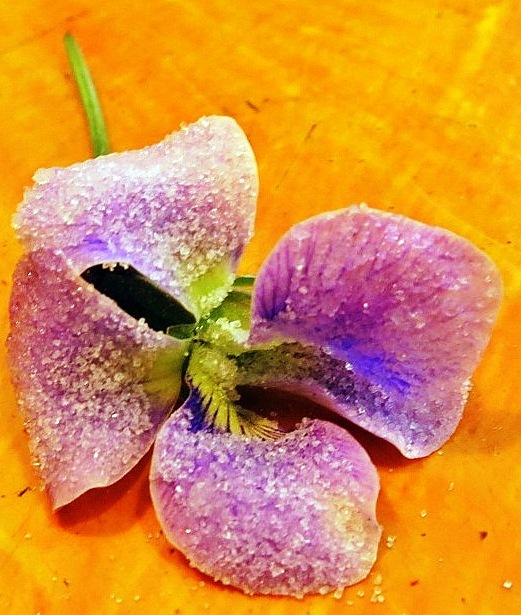 Thank you for reminding me of crystallized violets! I absolutely love violets and never think to do this. That simply must change!